The firm said it had introduced “in late 2017” – following several months of trials – a service from the border gate that links Macau to Zhuhai in neighbouring Guangdong Province, mainland China. The release didn’t clarify which Galaxy Entertainment properties were served by the new shuttle service; why the company had only made the announcement now; or how many such buses it was running. The release did state the buses were solely driven by electric motors, rather than being so-called “hybrid” vehicles that use a mixture of electrical power backed by a conventional combustion engine. “Galaxy Entertainment Group expects to increase the number of its electric buses in future in order to further contribute to the improvement of roadside air quality for the community and answer the call of the Secretariat for Transport and Public Works and the Transport Bureau to convert to new energy buses,” the firm said in its statement. In mid-March, the head of Macau’s Transport Bureau, Lam Hin San, said he hoped that by the year 2023 the city’s six casino operators would be exclusively using clean-energy vehicles in their shuttle bus services for customers. 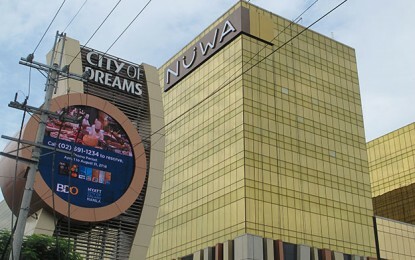 In December it emerged that Macau casino operators had held talks with the Transport Bureau about the possibility of the firms jointly operating a shared shuttle bus service from the Macau boundary crossing area of the Hong Kong-Zhuhai-Macau Bridge – located on one of the bridge’s two artificial islands – to their respective properties. The bridge, which will provide a road link from Hong Kong International Airport across the Pearl River estuary, is likely to open later this year, according to some investment analysts covering the Macau casino industry. 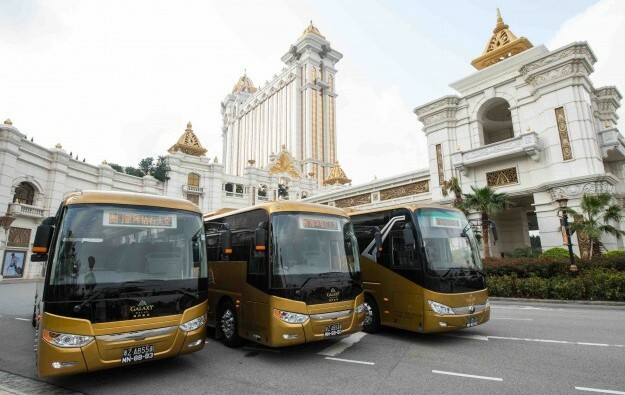 On December 5, Raimundo do Rosário, Macau’s Secretary for Transport and Public Works, told legislators that the city’s six casino operators should offer joint shuttle bus services, as a step toward alleviating local traffic congestion.